Modular product on DIN rail that performs all functions of PLC and gateway with Ethernet connectivity. 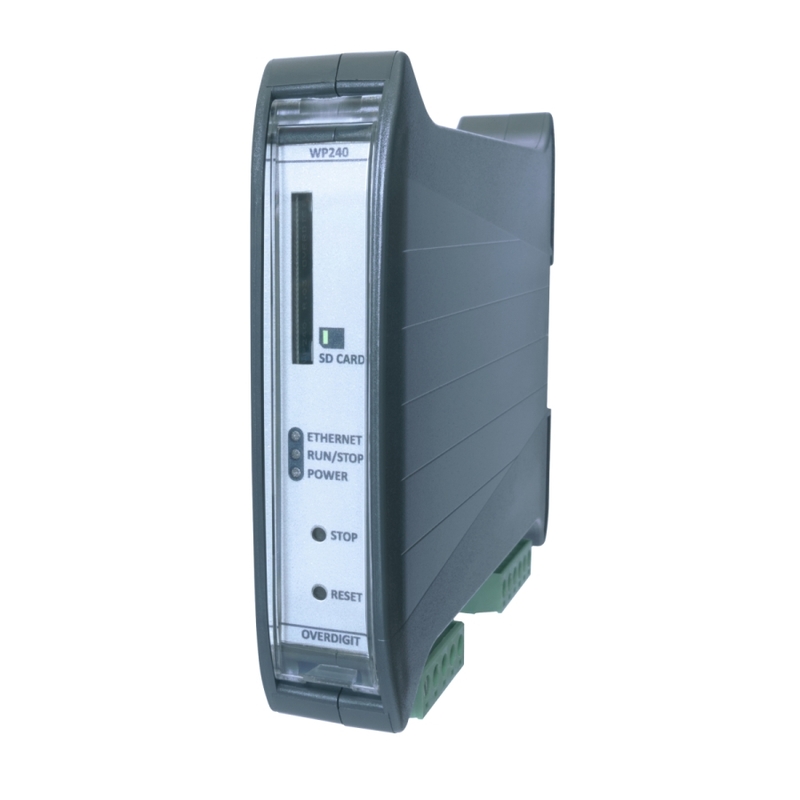 Programmable through CoDeSys development tool and equipped with opto-isolated and fast (1Mb/s) CAN and RS485 interfaces with CANopen and Modbus master/device protocol. Integrated Web-server for viewing via LAN and Internet of pages with graphics objects that can interact with all the IEC program variables. FTP-server for managing and updating files of system and of application data/parameters. In addition to the internal hard-disk can be added other two disk units (SD card and USB key) with GBytes of memory available for storage and data logging. RTS license and CoDeSys tool are included.